The effects of stress induced cortisol on learning and memory is well documented in the literature.1-3 Memory and learning are enhanced at low levels while high levels are detrimental. Repetitive training in stressful situations enables management of the stress response4 as demonstrated by the high intensity training military members undergo to prepare for tactical situations. Appropriate management of one's stress response is critical in the medical field, as the negative effects of stress can potentially hinder life-saving procedures and treatments. This also applies to physicians-in-training as they learn and practice triage, emergency medicine, and surgical skills prior to graduation. Rocky Vista University's Military Medicine Honor's Track (MMHT) held a week long high-intensity emergency medicine and surgical Intensive Skills Week (ISW), facilitated by military and university physicians, to advance students' skills and maximize training using the Human Worn Partial Surgical Task Simulator (Cut Suit). The short-term goal of the ISW was to overcome negative stress responses to increase confidence, technical and non-technical knowledge, and skill in surgery and emergency medicine in an effort to improve performance as third-year medical students. The long-term goal was to enhance performance and proficiency in residency and future medical practice. The metrics for the short-term goals were the focus of this pilot study. Results show an increase in confidence and decrease in perceived stress as well as statistically significant improvements in technical and non-technical skills and surgical instrumentation knowledge throughout the week. 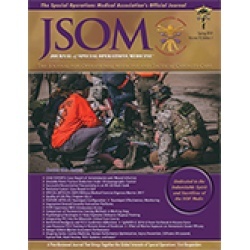 There is a correlative benefit to physician and non-physician military personnel, especially Special Operations Forces (SOF) medical personnel, from developing and implementing similar training programs when live tissue or cadaver models are unavailable or unfeasible.